More than 30,000 visitors typically enjoy the foodie event presented as "the perfect place for passionate foodies to get inspiration and enjoy a festive gastronomic heaven". 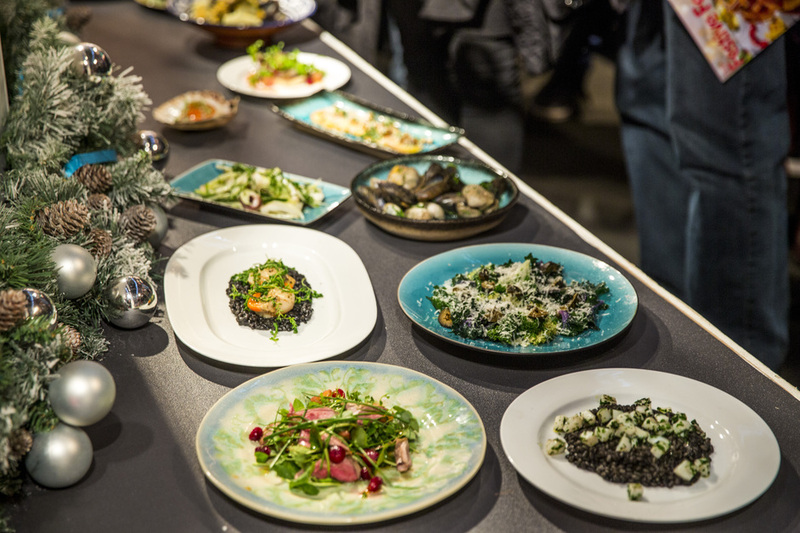 At 'Taste of London Winter' (previously Taste of Christmas) the kings and queens of cookery share their top tips for making the festive season a culinary triumph. As well as the opportunity to take part in live cooking demonstrations you can give your Christmas a gourmet makeover and shop for top seasonal ingredients to inject some inspirational spark into your family's tried and tested festive classics. A multitude of food stalls from top London restaurants come to the east London's Tobacco Dock offering tastings and food demonstrations. Taste of London Winter always boasts some of the country's finest chefs and this year welcomes the likes of Gizzi Erskine, Marcus Wareing, Mark Hix, Monica Galetti, Tom Aikens and Gina Hopkins. What are the best dining options near Taste of London Winter London? Taste of London Winter gyms, sporting activities, health & beauty and fitness. The best pubs near London Taste of London Winter. Taste of London Winter clubs, bars, cabaret nights, casinos and interesting nightlife. Where to have your meeting, conference, exhibition, private dining or training course near Taste of London Winter. From cheap budget places to stay to luxury 5 star hotels see our discounts for Tobacco Dock hotels, including Holiday Inn London - Whitechapel from 94% off.